I’d always had a dream of being on a Greek island. We went on family holidays to Greece when I was a child, and I spent a year there after university, when I taught English in Athens and would take ferries to islands on the weekends and have adventures. But then I moved to Canada for a man and stayed there for work, to build my sensible career, and didn’t go back to Greece for ten years. Still, the dream was always there. Literally – in a recurring dream, especially during the grey days of winter, I’d find myself walking on a hillside to a whitewashed village, with deep blue sea down below. No-one else was going to make me happy, I realised. Drastic measures were needed to pull myself out of a rut. I called them three Gifts to Self. The first was staying away from relationships for half a year. I woke up feeling like a Warrior Princess, knowing my heart wasn’t going to be broken anytime soon. The second was cutting down my work week to four days, a break from the treadmill. I only had myself to look after, so I could afford it. The third would be a month alone on a Greek island. Greece for the month of May. Whenever things looked bleak, the idea made my heart dance. My book, FALLING IN HONEY, is about all this and where it took me. Strange things happened. In Greece that magical month I got to hold octopus and starfish in my hands. I made a plan to move to that tiny, wild Greek island. Back in England, I fell in love again, and got engaged… and we made plans to live on the island together and try for a family. Then, at the eleventh hour, in the most bizarre twist I’ve ever encountered, it turned out he wasn’t coming with me after all. Would you still go? Did I? Of course I did! And it was the best move I ever made. 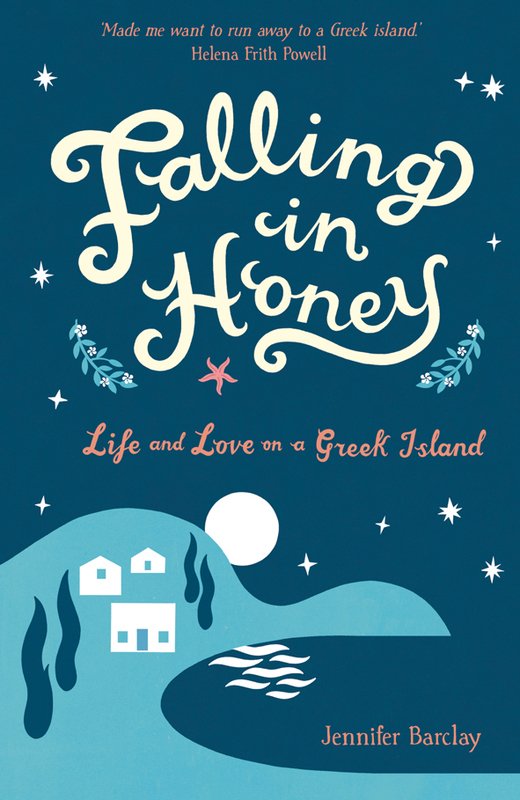 The book came out at the start of March and got off to a good start: the Daily Express called me a ‘real life Shirley Valentine’. A photographer called Malena took some flattering photos to go with the story (life on a rural Greek island is not usually so glamorous…). But best of all has been the reaction of people who have read the book and ‘got it’, who have been inspired by the honesty and openness and the message: that life is too short not to reach out for what makes us happy. I hope it’s a fun read, and a triumphant one, about what we can do if we put our minds to it. Writer and TV presenter Emma Woolf said the book made her laugh and cry and laugh again – I couldn’t wish for a better endorsement. 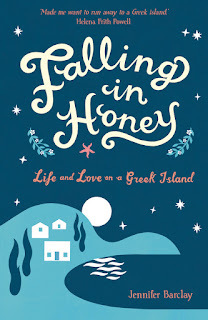 Falling in Honey: Life and Love on a Greek Island is now available as book, e-book and audio from Amazon.co.uk and other retailers. Jennifer Barclay can also be found on her blog: www.octopus-in-my-ouzo.blogspot.com. What a story. Best wishes with your book, Jennifer it sounds wonderful!